He’s back. After a couple of weeks away to attend an official visit in Fiji, followed by Australia and then the Pacific Islands Forum meeting in Nauru, Prime Minister Tuilaepa Dr. Sa’ilele Malielegaoi is back with a spring in his step ready to confront the issues awaiting him in Samoa. 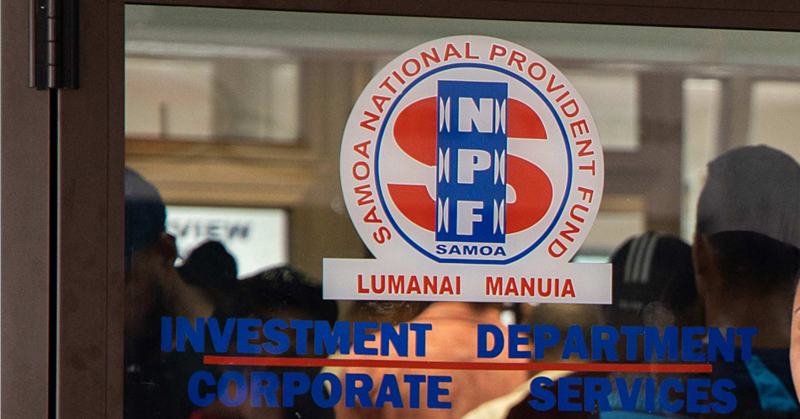 One of them is that perennial headache called the “cash strapped” Samoa Rugby Union (S.R.U.). You see the Union is so broke that as the Chairman, Tuilaepa has had to swallow his pride and unashamedly admit the sad state of affairs. Part of that funding pays for the Manu Samoa coaching job. And that brings us to the latest controversy the S.R.U. has found itself in with the coaching position. Announced three weeks ago, the decision to re-advertise the position means Fuimaono Titimaea Tafua who successfully coached the team through the qualification rounds of the World Cup was effectively sacked. That would not have happened had the Samoa Rugby Union been in a position to dictate their terms. Sadly they are not. “You see now that we are qualified, the S.R.U. had contacted the World Rugby to now pay for our Manu Samoa Coach and his Management Team,” Tuilaepa explained. No other choice? Well that’s interesting, isn’t it? Doesn’t this sound strikingly similar to what is happening elsewhere in Samoa today – including the running of our Government and public offices? Don’t you think a number of laws – including the one to tax the alofa for church ministers – are dictated by desperation? What about the laws that have given rise to fears about customary lands, passports and citizenship? Are they too not driven by desperation? And how ironic that the Government always and often has an involvement in these things? We just think the similarities are too obvious to ignore. All this has been happening under the watch of the Human Rights Protection Party and their laui’as, which have been gleefully lording over the decision making for nearly 40 years. Tuilaepa, as the leader and the biggest laui’a, has been the Prime Minister for 20 of those years, which means the buck really stops with them. Now another issue we haven’t been able to escape is the new found friendship between Prime Minister Tuilaepa and his Fijian counterpart Frank Bainimarama. From adversaries to the best of buddies, a lot can change in a few years. To refresh your memory, it wasn’t that long ago that they were tearing each other apart. Take this verbal barrage from Bainimarama at the time for example. “You know he’s the only Prime Minister that attacks everyone, left, right and centre. He attacks his dog, he attacks his rugby team, he attacks everything he can get his hands on,” Bainimarama said. That was then. Today, things are very different. “You see I was focusing more on the emergence of a seemingly radical political system which centered on the military and the urgent need to return to normality,” Tuilaepa said this week. Well that’s fantastic, isn’t it? But that wasn’t all. Prime Minister Tuilaepa just couldn’t help himself. Really? Misunderstood? Quoted out of context? Undernourished journalists? Now who are these “hungry journalists out to make a fast buck”? Perhaps Prime Minister Tuilaepa should tell us who they are. Lastly, would the Prime Minister care to explain to us what a “professional politician” is? Have an enjoyable Friday Samoa, God bless!